February 7, 1968: Riot Squad Inc.
Ed Francis' professional wrestling card at the Civic Auditorium featured a 6 man tag team match and three other matches. 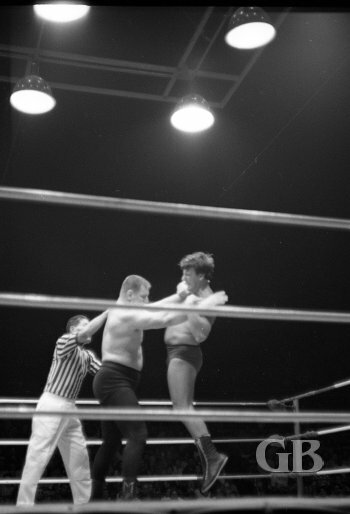 In the opening match, Jim Hady and Angelo Poffo battled to a draw. 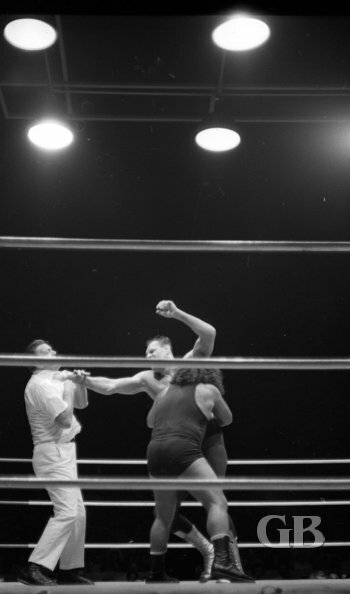 In the next match, The Missing Link and Killer Kowalski also battled to a draw. Jim Hady collides with a stunned Angelo Poffo. Kowalski on the verge of submission. 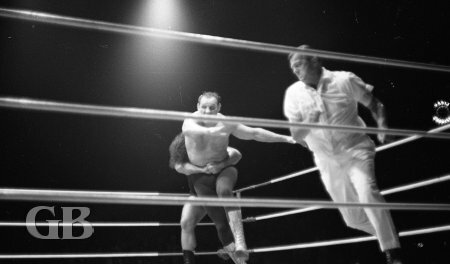 Pamero Firpo, The Missing Link, with an Indian Death Lock on Kowalski. In the first main event, Big Bill Miller took two straight falls from Jackie Carson. 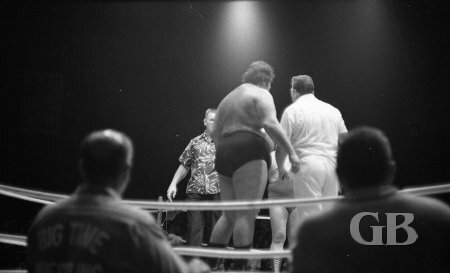 Big Bill Miller confronts Jackie Carson before the match. 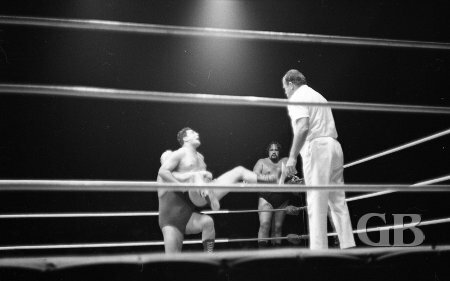 Bill Miller lifts Carson off his feet in the middle of the ring. 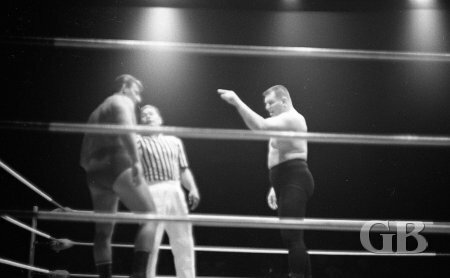 The main event featured the first teaming of Johnny Barend, Ripper Collins, and Curtis Iaukea, who called themselves “RIOT SQUAD INC.”, against the team of Ken Hollis, Karl Gotch, and Rocky Hunter. Hunter took the place of Jerry London, who was unable to wrestle due to an injury. What made this match interesting was the fact that Barend and Iaukea were bitter enemies against each other in the past years. According to Barend, he and Iaukea came to a business agreement and put their differences aside. The rabid crowd goes wild. Bill Miller (in street clothes) makes an appearance before the Riot Squad's tag team match. Ripper Collins administers his "Georgia Five" onto Ken Hollis' forehead. Curtis Iaukea Body Slams Karl Gotch. 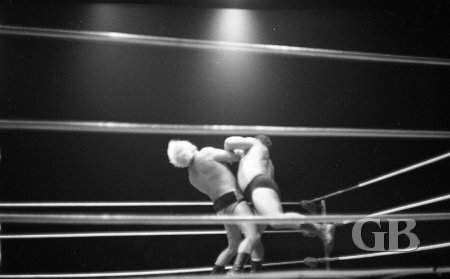 Ripper Collins Atomic Drops Ken Hollis. 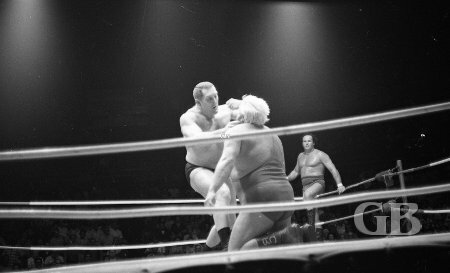 Karl Gotch rearranges Collins' face. 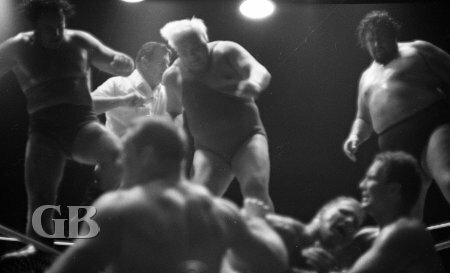 Karl Gotch, Rocky Hunter, and Ken Hollis regroup outside the ring as The Riot Squad attacks. 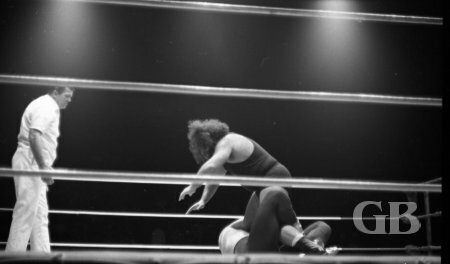 The match ended when Iaukea pinned Rocky Hunter with a press to give the “RIOT SQUAD” the victory.